When you see an iron front door to a residence, what goes through your mind? Iron front doors have that look, you know the one, the look of wealth. There is something about iron and glass together in a door that gives off an amazing first impression. A front door is not going to be on your bucket list and this investment is most likely not going to be a priority. Before you shut the whole idea down, at least listen to this persuasive argument. Make your front door personal because you walk in and out of it countless times a day. The look of your front door makes a statement to the neighbors but most of all, it will change how you feel about where you live. It might sound crazy but a new pro-series forged iron single or double door can give your entire house a different look. Walking through an iron front door literally lifts your spirits up, therefore don’t hide the fact that you have made it through multiple challenges hence, you are made of iron. This investment is not a weekly or even monthly expense, this is something that you are doing for yourself because there is no shame in rewarding yourself for the hours you put in at work. Iron resembles strength so why would you not want this to be the first impression others see? Some may even think that upgrading to an iron front door is the definition of success. What does the front door that you have now say about you? We often reward ourselves for accomplishing goals, occupational promotions and for making it through another week. A reward to some is a personal purchase such as clothes, designer shoes or maybe an expensive wallet. Why wouldn’t you want to reward yourself with something that you can show off like a brand new pro-series forged iron single or double front door? Every single person that comes in contact with that door will be reminded of your hard work and success. 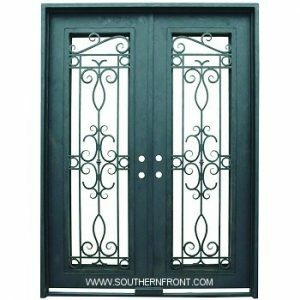 Southern Front Doors has in stock, ready for purchase incredibly beautiful iron doors for any home. Southern Front Doors has an incredible showroom that you can take your time browsing around in. Once you decide on a door, we will have an installer come out to your home to take measurements. Installation happens at your convenience once the door arrives at our shop. 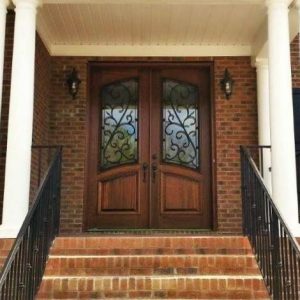 Treat yourself to an Iron Front Door in Houston Tx by Southern Front Doors. Come to our showroom on the city’s north side, 11234 Jones Road West Suite B Houston, Tx. 77065 between 9 a.m. and 5 p.m. Monday through Saturday. Click here to visit our website. You can also reach out to us 281-890-5860. Remember, reward yourself by walking through a beautiful iron front door by Southern Front Doors today!